The Sydney Opera House, that is. 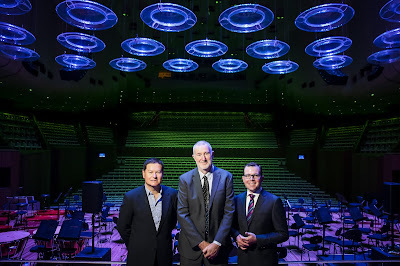 Earlier this week I set my alarm extra early for a very special date at the Opera House. And though an icy wind whipped through my hair and chilled me to the bone, all my worries were forgotten as I approached our iconic landmark, standing out against the clear blue sky and sparkling harbour. I found myself attempting a selfie alongside the excited tourists, as if I hadn't seen her over a thousand times before. 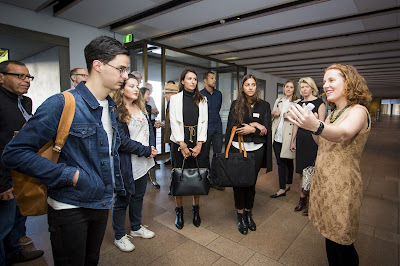 The reason for my special date was the official launch of the Airbnb Sustainability Tour of the Sydney Opera House. Now the public (that's us!) can get beneath the sails of the world's most famous house and not just see backstage, but also see its incredible sustainability initiatives firsthand. There were plenty of eco-facts for sustainability geeks like me, an amazing music and lighting display in the Concert Hall, and a behind-the-scenes tour like you've never experienced that included the 'expected' Green Room and staging areas plus the waste management room and seawater cooling towers, among other sites. And there is plenty of opportunity to ask questions of the Sydney Opera House team and chat with fellow sustainability fans. Naomi Martin, our charming hostess for the morning. 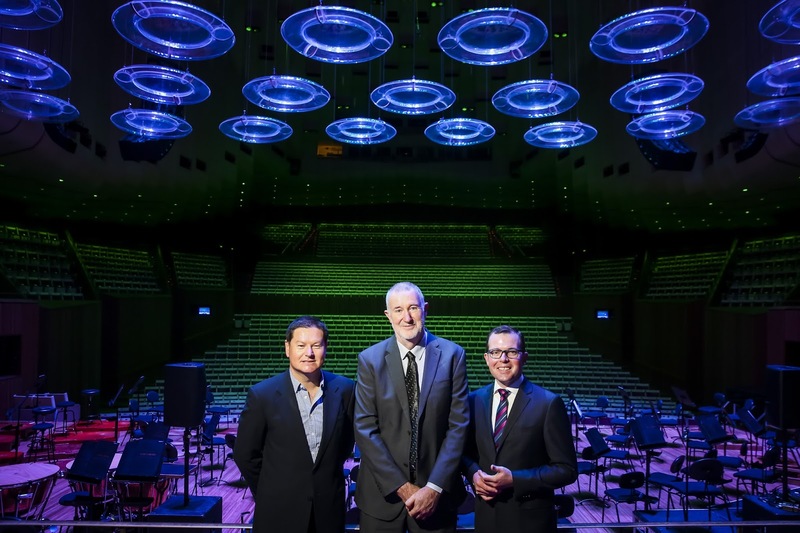 Last year the Opera House was granted a 4 Star Green Star - Performance rating by the Green Building Council of Australia (GBCA). You may recall that I've worked for the GBCA, and I know that it is incredibly difficult for older buildings to achieve today's sustainable building standards and earn a Green Star rating, so this is no small feat. 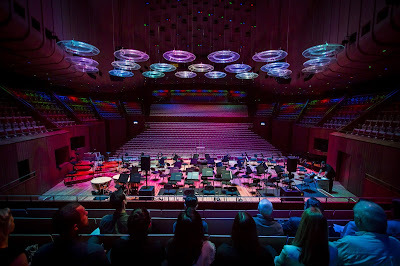 The Concert Hall lighting system - which you see in action during the tour - was replaced with all LED lights with multiple colour setting, including 'heritage lighting' for those who like their symphony old school. 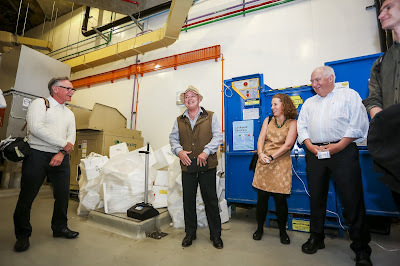 As a result, there was a 75% reduction in energy requirements, a cost savings of $70,000 per year in electricity alone. And because the lights last much longer, they have to be changed less frequently, cutting down on labour costs and waste. More of those amazing lights. And once the music began - magic. Airbnb came on board to sponsor the tours - making a connection between the sustainability benefits of choosing Airbnb over traditional hotels. Country Manager Sam McDonagh explained, "We're proud to launch this sustainability tour in partnership with the Sydney Opera House to further inspire locals and visitors to be more environmentally aware by learning about the sustainable practices for the world's most famous house." Also in attendance at the event were Airbnb superhosts who are passionate about sustainability in their homes, as well as sustainable home 'royalty', Off-the-Grid guy Michael Mobbs, who owns the Sustainable House in Chippendale. and right in the heart of Sydney! If you have any interest at all in sustainability or the Sydney Opera House, this is an incredible opportunity. The tours run at 8am on Tuesday mornings for a limited time until 29 November 2016. 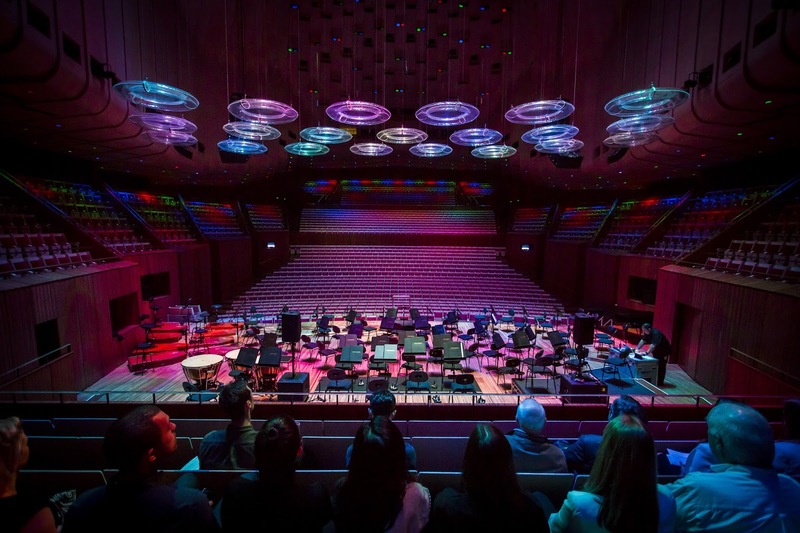 Head over to the Sydney Opera House website to book now before it books out! Frank Green SmartCup, because disposable cups are SO last century. Superb!! I love that you investigate these things!